While the tragic stories of Russian orphans adopted by Americans are well known, there are also thousands of Russian orphans who have found happy homes with American parents. Here are three of them. 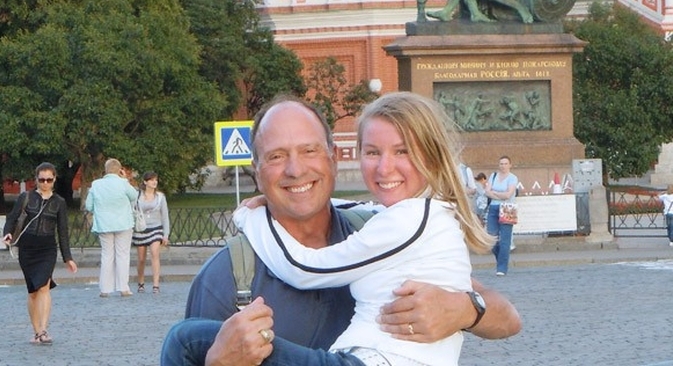 Chris and Glenn Hulses adopted Natalie from Moscow in 1993. "I was adopted myself, and I have always felt that I want to do the same for somebody that my parents did for me long ago," said Chris. ''Natalie was adopted when I wasn't even 30. She was the first child in our family, our two boys come after." The Hulses weren't committed to adopting from Russia. At the time they adopted Natalie, China required parents to be over 30; Romania required them to be under 40. Chris was 29 and Glenn was 10 years older. The Russian requirements just worked for the couple. "It was a very important moment in our lives, a defining moment," she added. "And it was definitely the best decision that Glenn and I have ever made." Natalie was nine months when she was brought to the United States, but she was almost like a newborn. She weighed only nine pounds and hadn't even begun to crawl. Once she was living with the Hulses', however, she began to develop very quickly. The first week, she crawled; the second, she sat; and the third, she stood on her feet. By the time she turned one, she was already walking. "Her skin was extremely irritated when we adopted her, but in American hospitals it was very curable, so it didn't bother us,'' said Chris. ''We also didn't know anything about what her intellectual abilities would be like. The doctors warned us that we shouldn't expect too much. We knew she would walk, she would probably talk, but nobody could guarantee she would become a productive member of society. "But she had gone through all the development milestones so quickly, we just didn't have time to worry. Some time later she took the IQ test, and her result was much higher than the average. She's a very beautiful and bright person and I'm sure she will make great contributions to this world," Chris added. Roger and Karen Torstenson adopted Deanna in 1997 from Kazakhstan and Derek in 1998 from Russia. The Torstensons were unable to have biological children, and once they were sure they wanted to adopt, they decided fairly quickly to pursue international adoption. "It's quite hard to adopt within the United States,'' said Roger. ''We don't have orphanages here, only foster families. And if you decide to become foster parents, you will probably face some difficulties. The birth mother may have the right to revoke the adoption within the first 30 days, or the birth family may have some kind of visitation rights to an adopted child. I think a lot of couples don't want to get involved in anything like that, and not only in America." When Deanna was born, she suffered from muscular dystrophy. She stumbled quite a bit for the first few years. But, said her father, “She’s completely out of it now. One of her feet is still a half-size bigger than the other, but it's not an issue. Of course, she'll never be a world class dancer, but you know, singing is her thing, so it’s okay." Roger and Karen have never hidden anything from the children. They both always knew they were adopted. Derek didn't have any interest in learning about his biological parents, or any wish to go and visit Russia. Deanna was the opposite. Since about the time she turned 6, she began asking about her birth parents. According to the information from the orphanage, she was her mother’s sixth pregnancy, so she was curious if she had brothers or sisters there in Kazakhstan. “I promised Deanna once that we would find her birth family and meet them,'' Roger said. ''And we made the trip in 2011. My wife didn't want her to go, but I had given my word to Deanna. I didn’t know how to plan the trip, what to expect from the family. I just knew it was a right thing to do and I was not mistaken. We spent 10 days in the village with Deanna and her 9 siblings there." Sharon and her husband adopted their first little girl from Novosibirsk four-and-a-half years ago. They were planning to adopt a second daughter from Moscow in January, but now no one can say whether this adoption will go through or not. Sharon's daughter has some health problems, but she does not think it is a big problem. Sharon believes the connection between adoptive parents and a child is as strong as one between birth parents and their own children. Now the family is waiting for the second daughter. Even their first daughter can’t wait to see her little sister. The story originally appeared as part of the Bolshoi Gorod project, dedicated to uncovering information on orphanages in Russia.